Wray Castle focus exclusively on the international Telecoms industry. They offer a broad range of high-quality courses, covering the latest technical innovations and developments across all the major global communications technologies. Their courses are all developed in-house by a highly skilled team of subject matter and learning experts, and are widely regarded as the best available in the industry. 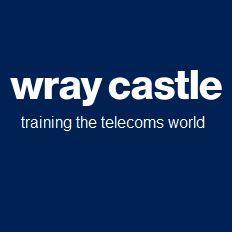 With major clients such as Telefonica and EE in their portfolio, Wray Castle has commissioned E-learning software to be designed and developed by Tektonic Ltd. for their major clients in the field of telecoms training. Tektonic Ltd. have carried out a large number of projects for Wray Castle including the build of bespoke software, animations as well as other online projects. We're extremely pleased with the service offered by Tektonic and will continue to use them for a range of activities.